Teachers experienced in online instruction connect learning to real-life experiences. Edmentum's active learning approach enables students to apply what they have learned, skills practice, and check for understanding. EdOptions Academy teachers are committed to building relationships with students. To learn more about how our educators build relationships with learners visit our blog. Virtual learning allows schools and districts to enhance, expand, and extend their program offerings. EdOptions Academy is an effective online program for all learners that is paired with highly qualified, state-certified online teachers to open up a world of opportunity whether students are falling behind, at grade level, or advanced. 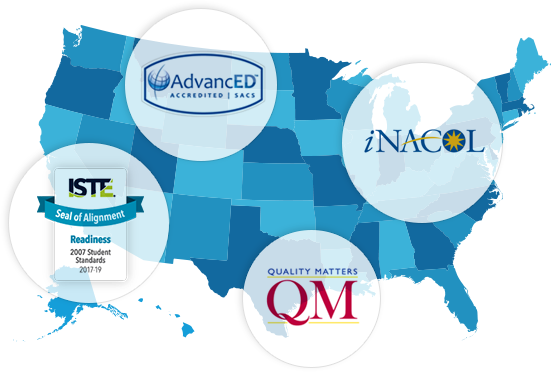 EdOptions Academy provides extensive course variety with a broad range of core subjects, CTE, electives, World Languages, and advanced courses to fit many needs. 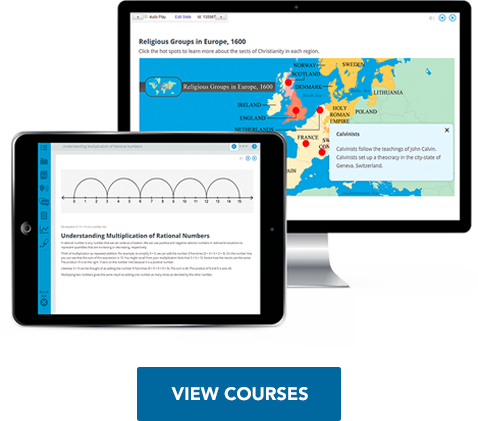 Highly interactive courses engage your learners and provide the ability to offer subjects that enhance and complement your curriculum. 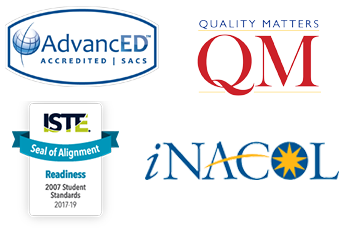 EdOptions Academy courses incorporate stringent quality assurance steps, coupled with open-ended partnerships with nationally recognized independent organizations, including Academic Benchmarks, Quality Matters, NCAA, and ISTE. Copyright © EdOptions Academy. All rights reserved.